Discover the Significance of Nutraceuticals, Bioavailability, Cis-Beta-Carotene, Farm-Fresh, Golden Hour Life-Force. Our journey began with a purpose – create a new, consumer-centric product designed to revolutionise health and make nutraceuticals accessible and convenient to all. What once seemed an insurmountable task for a family of farmers is now a reality. From working with leading veggie extract pioneers, to getting each component of our extraction technology custom built, the path of innovation is never easy, but always rewarding. A world first, our veggie extraction facility has produced some astounding products with remarkable health benefits. Working with farmers, you are assured produce is harvested at sunrise and bottled by sunset. The veggie extraction revolution began on our family carrot farm - we’ll never forget our ‘roots’. 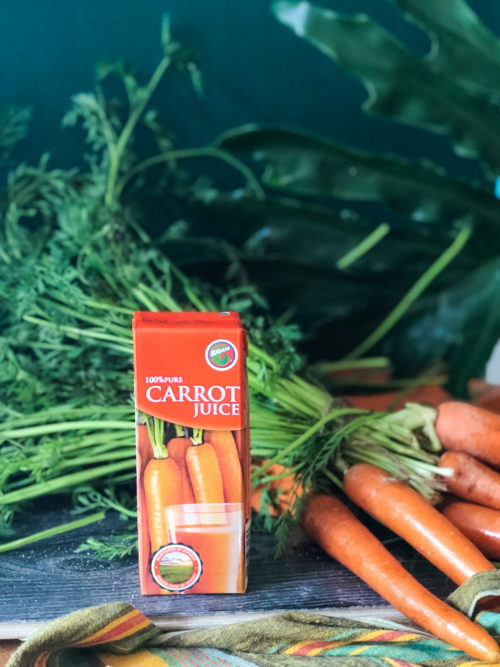 State-of-the-art harvest, hydro-cooling and extraction technology transfers all nutrients stored in carrots at the moment of harvest into our exceptional, not-from-concentrate 100% carrot extract. Cis-beta-carotene is a rare natural molecule that the body can absorb highly efficiently. It supports cancer mitigation, heart, cognitive, eye and oral health. Never neglect ginger. It’s been used as a staple in natural medicine for thousands of years. Gingerol – a powerful anti-oxidant buffers the cis-beta-carotene in our carrot juice, making for a potent immune-booster, has been linked with cancer mitigating properties, reliefs arthritis joint pain… the list goes on. We won’t compromise on freshness, purity, quality or nutrition. Naturally, our intensely fresh flavours can overwhelm an unseasoned palate. Rich in nutrients, the fine balance of carrot and pine takes the edge off, making for a smooth transition into the extract revolution. The highest concentration of nutrients and vitamins are found in the skin of fruit and veggies. Unlike conventional juicing, our extraction facility can handle the tough gritty skin of a pineapple. Releasing the skin’s goodness is the key to our extraordinarily high vitamin C presence and triggers the release of serotonin, a natural chemical that assists against depression and anxiety, for a balanced body and mind. NEED TO UP YOUR PERFORMANCE? BEET THE SWEAT! Beetroot juice increases the blood’s ability to carry oxygen and reduces oxygen requirements for muscles to perform optimally. 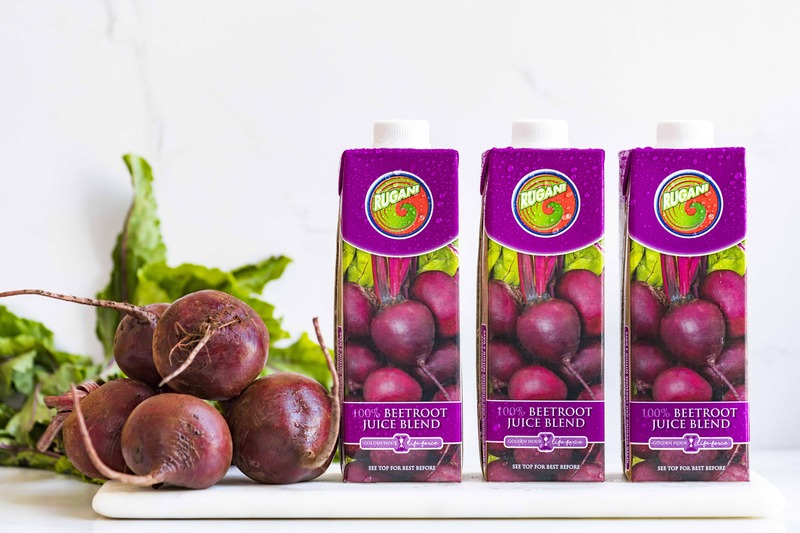 Our intensely pure beetroot extracts are also a great source of cis-beta-carotene, supporting cancer mitigation,heart, cognitive, eye and oral health. The veggie extraction revolution began on our family carrot farm. 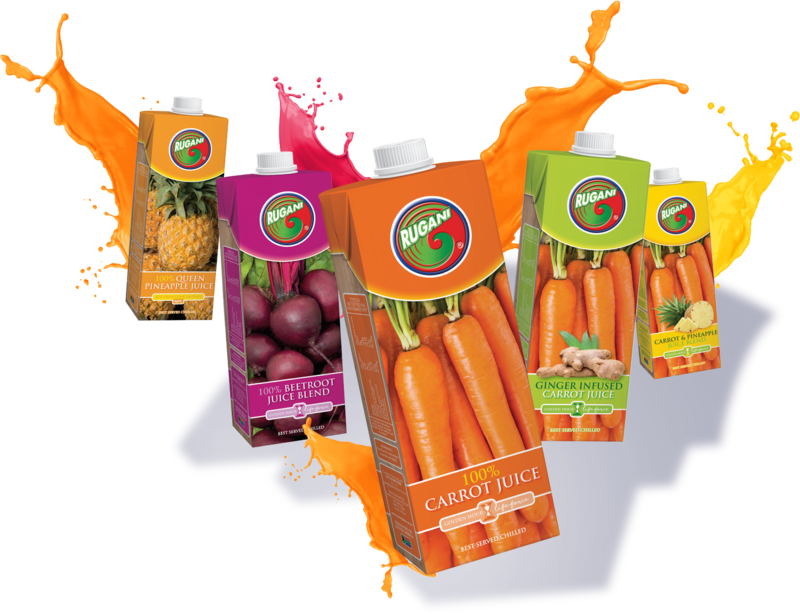 State-of-the-art harvest, hydro-cooling and extraction technology transfers all nutrients stored in carrots at the moment of harvest into our exceptional, not-from-concentrate 100% carrot extract. Cis-beta-carotene is a rare natural molecule that the body can absorb highly efficiently. It supports cancer mitigation, heart, cognitive, eye and oral health. Our fresh carrot extracts that undergo pasteurisation are a remarkably rich source of this much-sought-after molecule of goodness. Veggie extraction occurs on the farm daily from freshly harvested produce, is never made from concentrate and is easily traceable. We can introduce you to the farmer, give the exact date of harvest and even specify the piece of land that nourished a particular batch of veggies. No sugar, No water and No preservatives are added. On the day of harvest, veggies are transferred on a conveyer belt from farm to facility, extracted and packaged as a 100% natural juice. A touch of vitamin C guarantees safe consumption and No compromise on taste or nutritional goodness. Beta-carotene supports cancer mitigation and is the most effective natural preventative discovered to date. The human body absorbs its rarest variant, cis-beta-carotene most efficiently, but only 2% to 4% of the total beta-carotene available in veggies is cis-beta-carotene. Extraction and pasteurisation converts trans-beta-carotene into cis-beta-carotene, making our extracted juice the richest source of this rare, sought-after goodness. Harvested at Sunrise and Bottled by Sunset.